This BEACH HOUSE on the lake is a one story ranch and has a view of some of the most amazing sunsets in the world! It is minutes from the Walter F.George State Park which has a public golf course and lodge with a restaurant. Yes. Did I already say that there is your own personal beach with shallow water for swimming? So bring the kids and play in the sand. There is some of the best hybrid bass fishing in the south right off shore. The house is situated at the end of the road so it is very quiet and extremely peaceful. There is a large screened in porch which is great for relaxing and drinking coffee in the morning or sipping a glass of wine as you watch the sun set below the Alabama hills across the lake- you will love it! Great shallow swimming area. Abundant wildlife and birds, including bald eagles, osprey, grey herons, geese, coots, king fishers, pilated wood peckers, deer and more. Great screened in porch to watch the wildlife and enjoy the fantastic sunsets. Have a picnic and explore gopher island and other islands. Great hybrid bass fishing, just off shore. House is directly on large part of the lake. Views of the lake from house. Your own personal sandy beach with shallow gentle slope into the water. Beach your boat or swim. Directly on the big part of the lake. Not a cove. Swimming beach. Seats about 8 on sofas. Fire place. Flat screen TV, CD player, sliding glass doors looking out to lake. Glass Dining room table (6), kitchen table (4), two patio tables on screened in porch (8). Large grass area in front. Slightly wooded in back. Screened in porch 12' x 27' with two glass tables with seating for eight. Also, two rocking chairs. Also, additional uncovered deck. There is a golf course a few miles down the road at the Bagby State Lodge. Please check availability directly with them. Gentle slope to the beach area. Great swimming and fishing. Island to explore or just sun just a paddle away. Stayed at the lake house Oct 6th -20th...hurricane Michael came through knocking out power and downing trees. The lovely house was spared but the beach area became covered in hydrilla. My husband was still able to fish and the sunsets and stars were awesome. We enjoyed exploring southern Georgia and Alabama historic cities and state parks. The different types of birds and other wildlife were interesting to see and the quiet residential neighborhood make a it a good place to relax and recharge. We really enjoyed our time. It was very peaceful! Great place for family vacation. Thanks for the 5 star rating!!! We are glad you enjoyed your stay. We had a great time and enjoyed our stay! The house was clean and well-appointed. It was spacious and comfortable for two families with four kids ranging from 6 to 16 years old. The kitchen had everything we might need. The kids enjoyed swimming and fishing. Lots of wildlife to watch, many species of birds, lizards, frogs, etc. The place is very private and quiet, the property well-maintained. I loved having a cup of coffee on a deck overlooking the lake just off the master bedroom in the morning. Sunsets were amazing!!! Will definitely stay again. Thank you. Thanks so much for the 5 star rating!!! We really enjoy getting away from it all when we are there too! Happy you enjoyed your stay. The house needs some repairs but we loved it, just what we wanted. plenty of room and so close to the water. Beautiful view and great screened porch ! Wish we could have stayed longer. My family and I thoroughly enjoyed our stay at this comfortable home! There was plenty of room for everyone to sleep, to play, and to relax! The sandy little beach area was perfect for us to enjoy our younger grandchildren and we even taught the oldest one how to ski from the bank! The house was very clean and well stocked with everything we needed. 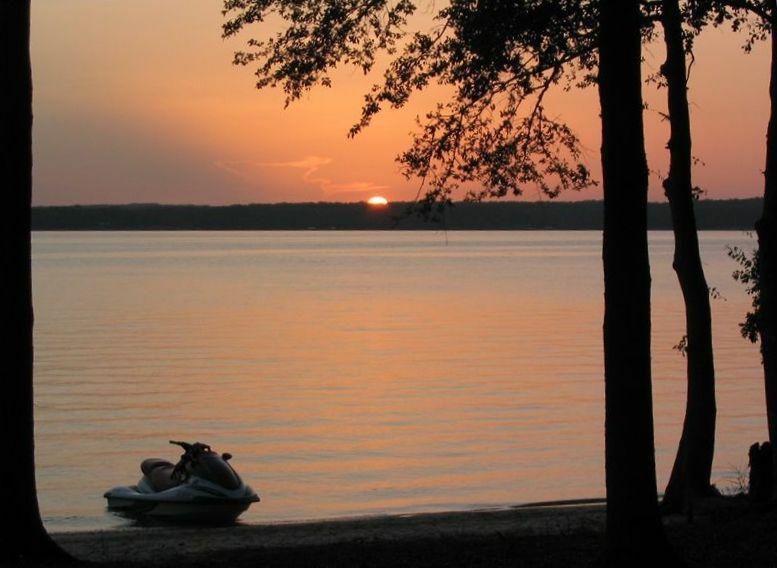 It is located in a very quiet neighborhood with a beautiful view of the lake and sunsets! The owners were accommodating and easy to work with. We will certainly be renting this again for our next family vacation! Loved the location of the home on the lake. Would definatly rent again. Great view of lake and beach like area for kids to play. Located about 20 minutes from the city of Eufaula, Alabama. Eufaula is known for many antebellum homes that were spared during the civil war. Home to several restaurants and antique stores. Standard rates are based on a maximum of seven people. Add $25/night/person for a total maximum of ten guests including children. Small indoor pets will be considered at the additional $50.00 pet fee. No large gatherings are allowed without written permission. All guests including those not staying overnight must be listed. Minimum age of person booking must be at least 25 years. Hot tub is not included and its use is not allowed. Please read the contract that you agree to upon booking for additional rules and instructions.